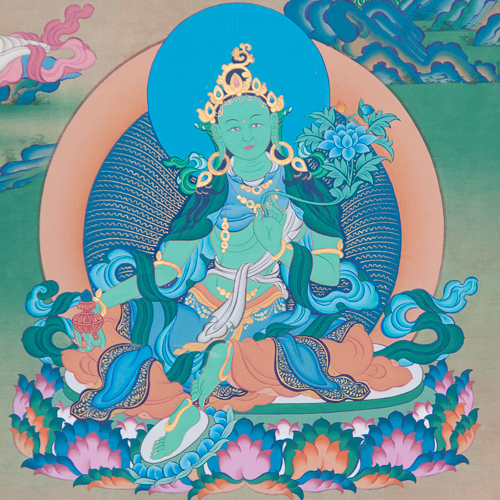 Tara is the embodiment of the Perfection of Wisdom appearing as a fully enlightened Buddha. 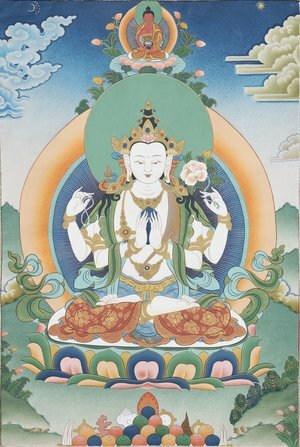 Her twenty-one emanations embody the diverse enlightened functions of pacifying, increasing, magnetising and wrathful activity. 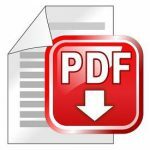 Each initiation in this collection allows us to utilise the methods for developing these qualities in our own lives, however the benefits of just receiving the initiations are enormous. 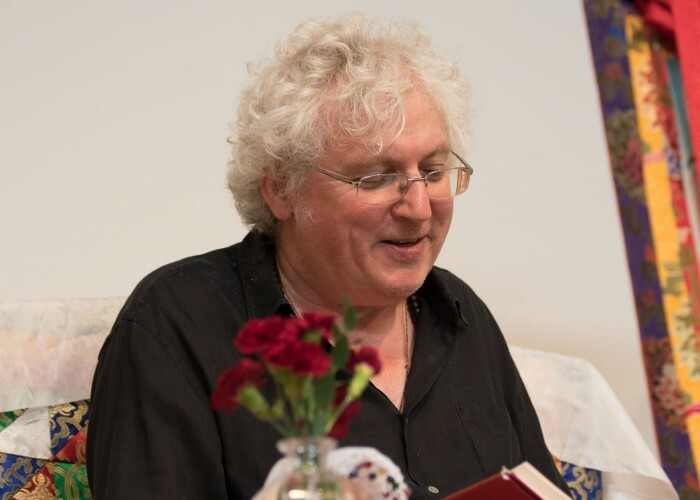 Over the two-week course, Lama Jampa will give the twenty-one initiations and explanations from the lineage of Atisha preserved in the Sakya and Kadam lineages. This will be the first time Lama Jampa gives this collection which is bestowed only rarely in the West. If you can’t come for the full two-week course you can attend as many days as you wish. However, attendance on the first day (August 19th) is necessary in order to receive any further initiations during this course. Ages ago, in a world system called Vishvaprabha, there appeared a Buddha who was known as the Bhagavan Tathagata Turya. At that time also there lived a daughter of the king, a princess named Jnanachandra, who possessed supreme devotion to the doctrine of the Buddha. For hundreds of thousands of myriads of years, she performed puja for the Buddha and his retinue, which consisted of an immeasurable sangha of Shravakas and Bodhisattvas. Accordingly, each and every day she prepared materials for offering, equal in measure of value to filling entirely with precious gems a space extending for two yojanas everywhere in the ten directions. When she had finished this, she first produced the Thought of Enlightenment. At that time, the bhikshus addressed her: “Due to your wholesome roots of merit, you should be reborn in the body of a man. According to our teaching, if you make an earnest commitment to accomplish such wholesome deeds, this will surely be the result”. It is said that they spoke to her many times in this fashion. Finally, the royal princess replied, “In this proposal there is no wisdom. In reality there is no rebirth, there is no self, there is no person. These appellations “male” and “female” are hollow. Worldly fools become deluded by them”. Having said that, she then made the following vow: “As for those who desire enlightenment while relying on rebirth as a man, they are many. But those who work for the benefit of beings in the body of a woman are very few. Therefore, until samsara itself has become empty, I shall work for the benefit of beings in the form of a woman”. This is the beginning of the story of Tara, taken from “Golden Rosary of Tara”, written in the 16th century by the illustrious Lama Taranatha. Travel: You can travel by road and ferry, or by rail to Le Bugue or Le Buisson, near Sakya Changlochen Ling. There are direct flights with Ryan Air (www.ryanair.com) and Flybe (www.flybe.com) to Bergerac from London, Bristol, Southampton, Manchester, Liverpool, Birmingham and many other places. From Bergerac station the train takes about one hour to Le Bugue or Le Buisson from where you can get a taxi. Or you could share a taxi from the airport to Sakya Changlochen Ling. Alternatively you could fly to Bordeaux or Limoges, both of which are around 2 hours from Le Bugue or Le Buisson by road or rail. From there it is a short taxi journey to Sakya Changlochen Ling. Alternatively you can hire a car from any airport.